Finned tubes are a series of tubes which have fins attached on its exteriors. This increases the contact area with the fluid which is outside the tube. This extended outer area augments the heat transfer rate. It also exchanges heat between the outside and inside the tube. Inside of the tube is for the liquid to flow and the outside has air or some other gas. The main components of heat exchangers in any industry are Finned Tubes. Usually, crossflow happens here and this is due to the radial fins. If you want a counter-flow, use longitudinal fins instead. In most of the cases, there is an open heat exchanger with the application of finned tubes for air flow. However, internal finned tubes can also be used in a closed heat exchanger. Finned tubes are made by helically twisting strips on the tubes. They can be longitudinal, transverse, parallel, flat, round, oval, etc. For industrial purposes where the outside flow has to streamline with the tube length, the best finned tube is the one with longitudinal fins. On the other hand, for air coolers, crossflow exchangers, gas flows, shell and tube heat exchangers, or turbulent flows, you can use transverse finned tubes. High-finned tubes are used to heat and cool down gases in heating, machinery, and plant technologies. For evaporating and condensing refrigerants or when you have to control the temperature of liquids and gases, you can use low finned tubes. Then there are safety tubes which are also known as double-wall tubes. They have particular leakage paths to separate fluids. 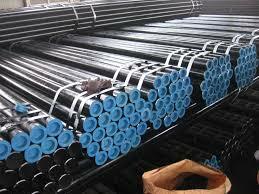 Tubes applicable in oil coolers, condensers, water heaters, etc., are medium-high finned tubes. For specific applications with the best designs, stainless steel finned tubes can be used. Finned tubes are used to relay heat in any industry where hot fluid has to be transferred to cold fluid through a proper medium. They expand the exterior of the tube. Finned tubes have the capacity to take the place of bare tubes with reduced volume and cost. One of the significant feature of finned tubes is to secure the surface area of heat exchanger tubes. Heat transfer is based on the outside area to which the fluid is exposed, temperature difference between the fluids, and the heat transfer between the tube and fluids. Finned tubes heat exchangers can be applied in various household as well as industrial machineries. Car radiator also used finned tube heat exchangers which cools the hot water in the tubes when air passes through it. This is a crossflow process. For industrial purposes, finned tube heat exchangers are generally used to heat or cool the air and other gases. Finned tubes have fins attached to its exterior areas. Hence, with the increase in the outside area, the heat transfer rate also increases. Moreover, in the long run, it abbreviates the overall equipment size. If you are looking to purchase finned tubes for any of the above mentioned industrial applications, call us on +91-9099996854. Being one of the leading finned tubes manufacturers in India, we can help you get products as per your requirements. We also supply seamless tubes made of carbon steel and alloys. Also Read: Why Does Oil & Gas Companies Use Finned Tubes?